I don’t know how to explain this pic …. lets just say driving around in the Territory is always amusing …..
Where, for the love of God, do you find this stuff? Do you have to look hard, or is your home just so weird, this material is easy to come by? Yikes! 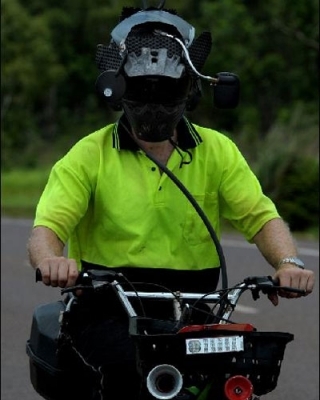 What kind of helmet is that? I see the mirrors, but that’s all I understand.